Now that you have this in place, head over to 'Settings' > 'Custom Forms' where you can set up your form for prospective members. Be warned, the custom forms interface looks scarier than it actually is! You can then embed this form in your website. Here's an example of how you can make this appear: http://the-factory.webflow.io (scroll down to the 'Book a Tour' button). For more details on forms and how to embed them in your website, check out our Custom Forms help doc. 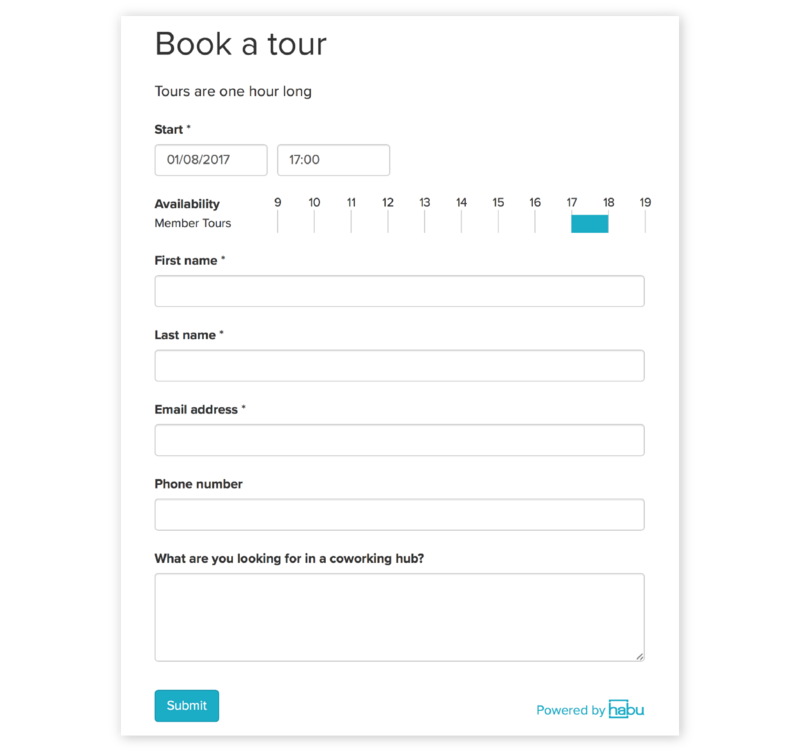 There are a few things worth bearing in mind with using custom forms for tours. 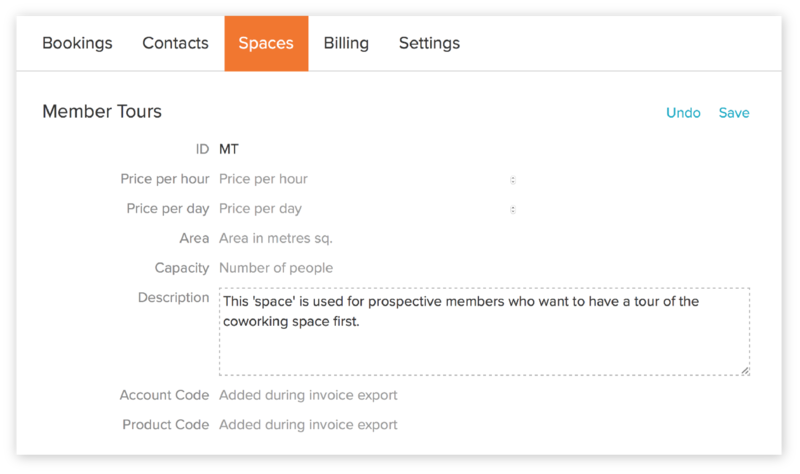 You can embed the form in your website, making it easy for members to book a time. You can't set your availability, apart from manually booking out times that you don't want people to be able to book a tour for. 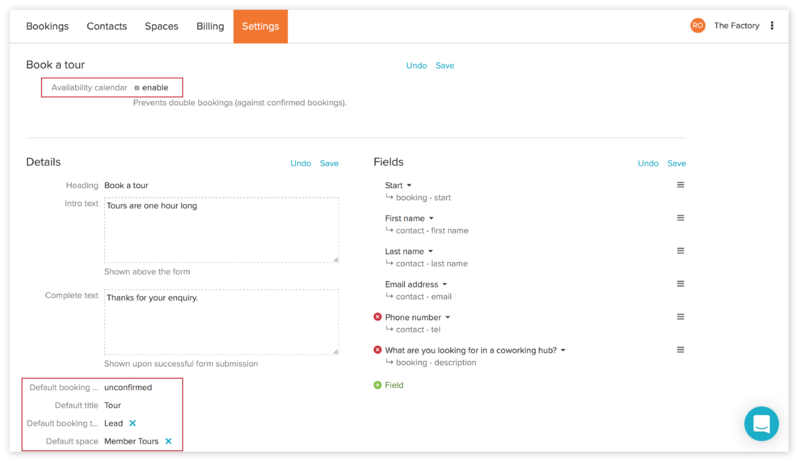 You can use the 'Duplicate Booking' functionality then which mean you can easily set limited times that will be available. Simply set your unavailability for each day of the week, and duplicate away. The prospective member doesn't receive an email notification. It's up to you to follow up with them to confirm any details.